Walking tours are one of the main activities sponsored by the Historic Reno Preservation Society (HRPS). 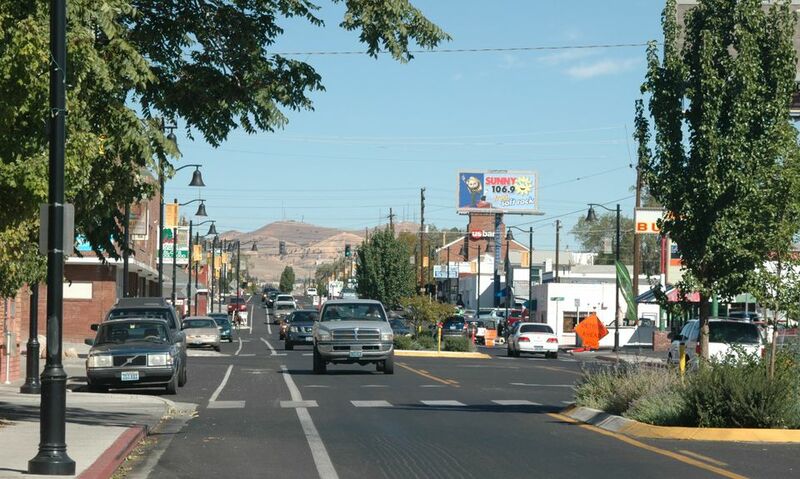 The group conducts tours, led by experienced guides, through Reno's historic districts and other areas of historic interest around Reno, Sparks, and northern Nevada. You can sign up online to join HRPS walking tours. To do so, go to the Walking Tours web page and select a month. You may then either click the month to see dates and a description of each tour during that month, or go directly to the registration page and complete the online form. You can also register by phone at (775) 747-4478. Registration for each tour closes the day before the tour. Space is limited and reservations are required. Pets are not allowed on tours. The $10 fee for non-members is collected on the day of the tour. HRPS members can participate in walking tours for free. Walking tours last up to two hours. Here are the walking tours scheduled for 2014. For details on what each tour will emphasize, refer to the HRPS walking tours calendar. Beyond the Arches - Saturday, May 3, 10 a.m.
Lake Addition - Saturday, May 10, 10 a.m. Historic 4th Street - Saturday, May 17, 10 a.m.
Mid-Century Modern - Tuesday, May 20, 3 p.m.
Newlands Neighborhood - Saturday, May 24, 10 a.m.
Parsons and Mills Architecture - Saturday, May 31, 10 a.m.
UNR Historic District - Tuesday, June 3, 6 p.m. Prohibition in Reno - Saturday, June 7, 10 a.m.
Wells Avenue Neighborhood - Tuesday, June 10, 6 p.m. Historic Truckee River - Tuesday, June 17, 6 p.m.
Upper Ralston / Northern Little Italy - Saturday, June 21, 10 a.m.
UNR Neighborhood - Tuesday, June 24, 6 p.m.
Monroe Street - Saturday, June 28, 10 a.m.
Truckee River All the Time - Tuesday, July 1, 6 p.m.
Newlands Neighborhood - Saturday, July 5, 9 a.m. Bicycle Tour - Sunday, July 6, 9 a.m. Historic Cemetery - Tuesday, July 8, 6 p.m.
Mansions on the Bluff - Saturday, July 12, 9 a.m.
Powning's Addition - Tuesday, July 15, 6 p.m.
Sparks Heritage Tour - Saturday, July 19, 9 a.m.
Mansions on the Bluff - Saturday, July 26, 9 a.m.
Church Tour - Sunday, July 27, 1 p.m.
Western Addition - Tuesday, July 29, 6 p.m.
Bricks and Stones - Saturday, September 6, 10 a.m. Literary Reno - Saturday, September 13, 10 a.m.
West of Wells - Saturday, September 20, 10 a.m.
*During the Harvest of Homes Tour, owners of significant historic dwellings open their doors to tour members for a rare and intimate look at these Truckee Meadows gems. Early Reno - A book of historic Reno photographs compiled by the Nevada Historical Society Docent Council. Historic Photos of Reno - A coffee table-sized book on Reno with pictures and commentary covering Reno from around 1868 to the end of the 1970s. Author Donnelyn Curtis is a librarian at the University of Nevada, Reno, Director of Research Collections & Services, and head of Special Collections. Nevada Ghost Towns & Mining Camps: Illustrated Atlas - Author Stanley W. Paher brings us an excellent book about exploring northern Nevada ghost towns (there is a companion book covering southern Nevada). Together with a little history of the sites, the book has maps and photos to help you find these historic sites.